• After a couple of slightly quieter weeks on the new music front, radio has been bombarded this week with heaps of new pop. We’ve already mentioned Cee Lo Green’s new single ‘F**k You’ and Scarlett Belle’s ‘Freak Tonight’, but add Miley Cyrus to that list of artists with new tunes at radio. 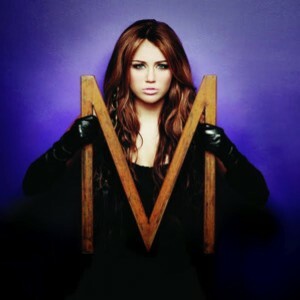 Her new single ‘Who Owns My Heart’ has gone for adds this week. • Universal has also serviced the new Enrique Iglesias track called ‘Heartbeat’ (which features the guest vocals of Pussycat Dolls frontwoman Nicole Scherzinger), Bon Jovi’s ‘What Do You Got’, Porcelain’s ‘When I’m Gone’ and Sara Storer’s ‘Tears’. • Warner has taken out the new 3OH!3 single called ‘Double Vision’, as well as the Dirty South single ‘Phazing’, while EMI has sampled a new Paul Dempsey track called ‘We’ll Never Work In This Town Again’ and a new Hungry Kids Of Hungary single ‘Coming Around’. 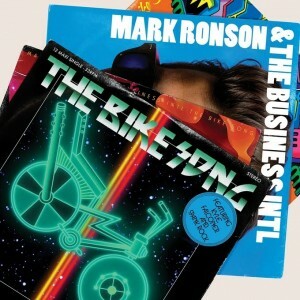 • And Sony has taken out the new single from Mark Ronson’s forthcoming album ‘Record Collection’. The track’s called ‘The Bike Song’ and it follows on from his previous top ten hit ‘Bang Bang Bang’. • Inertia will release a brand new six track digital EP for British outfit U.N.K.L.E. this Friday. ‘The Answer’ is the latest single from the band’s latest album ‘Where Did The Night Fall’ and the digital release will feature b-sides and remixes. • The team from Abbey Road Live will hit our shores from tomorrow to record Powderfinger’s live shows as part of the band’s farewell tour. It means fans can buy a copy of the night’s concert on a specially pressed double CD set or download as the perfect memento of their experience. More details HERE. • Bone Thugs N Harmony are coming to Australia in November for six shows, but they’ve announced that they’ve added a Perth date to the run, taking the number of shows to seven. Tickets to the Metro City date on November 19 are on sale now. • MTV will air the star-packed ‘Snow Jam 2010’ this Sunday, September 05 at 4pm. Ruby Rose and Erin McNaught will go head to head, armed with Bliss N Eso and Operator Please respectively, to participate in a series of challenges. • Warner Music signing Mark Sholtez will see his new single ‘The Mystery Of You’ sent to radio next week. It’s the second official single to be lifted from his rather good new album ‘The Distance Between Two Truths’. The singer is currently on tour. • Indie label Ivy League is getting together their impressive roster of talent for a very special one-off event in Sydney on Friday September 17. The Goodgod Small Club will play host to Cloud Control, Cabins, Wons Phreely, Catcall and Alpine as part of Ivy League’s ‘Spring Break Party’. Tickets at the door (but punters are advised to get in REAL early). • On the UK singles chart, Taio Cruz has followed his Aussie lead and plopped into the No.1 position. In Britain though, he debuts at No.1. Katy B is ‘On A Mission’ with a big debut at No.5 and Killers frontman Brandon Flowers does there what he can’t here – achieve top ten success with his debut solo effort ‘Crossfire’. • And on the British albums chart, Klaxons get the highest debut for the week with their new album ‘Surfing The Void’. It’s in at No.10, but Eminem’s plopped back into the No.1 spot with ‘Recovery’ after surrendering it last week to Iron Maiden. So Glad to see another Miley Song headed to radio’s. What an awesome initiative by the boys from Powderfinger. I know they’re not the first to do this, but this is great. There are a lot of artists who need to take a leaf from this band’s book!!! If I was a die-hard Powderfinger fan, I’d be buying a copy of each show!